I've recently got engaged and H2B and I have been discussing colour themes for the wedding. We both like the idea of green - probably a nice deep green. However, we want to get married in the summer and want to spend a lot of it, weather permitting, outside. So, I was wondering if anyone else had a green colourtheme in the summer and if so, do you have any photos that would give me an idea of how it would look? We're having a green theme, this is because my H2B is Scottish and his tartan is a deep green colour. So I have gone for a greens and whites colour theme. Will have green, white and cream flowers, and I've found some green glass table decorations, and I about to order some green patterned bunting. I'm not too worried about here being too much green, for starters the room we're having the ceremony is is a deep red with white columns (it's a big ballroom) and a wooden floor, then we're eating in a marquee so I'm hoping that the greens and whites will just add accents and not make everything too green. H2B is a bit worried I'm over greening it a bit, but I just want everything to tie together. Also you can't dictate what your guests wear, so there will be plenty of people wearing other colours so it won't be a sea of green! And unless you're planning on having your H2B wear top to toe in green ( I have requested a black jacket to go with the kilt) then it won't look too green in your group photos if you have any. Go for green! i have olive green bridesmaid dresses and different shades of pink roses decorating the venue with pink green and green bunting and teacups very vintage country garden!! I think green is lovely! As the others above have said, mix it with ivories and whites so that it won't be a totally green theme! But remember, summer = flowers, which means that there'll be loads of different colours and textures going on in the background to your photos etc! Our theme for our August wedding this year is Emerald green & Ivory with silver accents. Am hoping it will look amazing! Will post pictures after august! We're having an August wedding outdoors and have gone for a deep emerald green. I wanted a strong colour and am not worried about there being too much green. There will be the colours of flowers, the deep blue sky (of course!) and also lakes in ours, plus as WeddngSchedulizer has said all the other colours your guests will be wearing it. 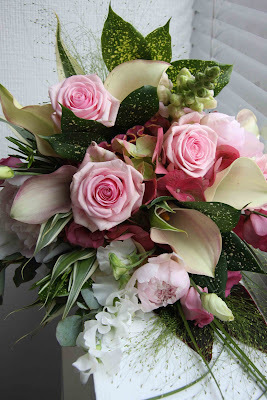 We're combining it with creams (to match my dress), gold accents and touches of pink in the flowers. urban_ballerina I love your bridesmaids dress! Any chance you could share the details of where you got them from? 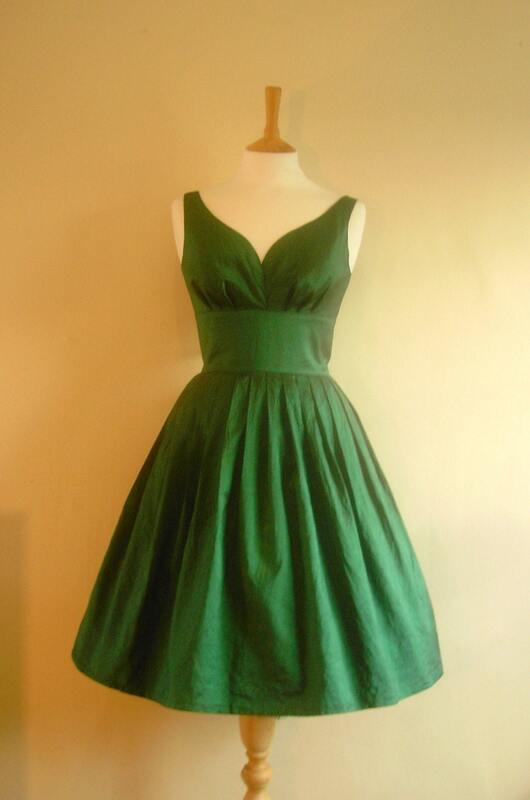 I really want my bridesmaids in green dresses of the same style, but different shades of green, and unfortunately unless I got down the usual route of buying actual bridesmaids dresses from a bridal shop then I am completely flumoxed! I sort of want to avoid getting them from a bridal shop because of the price - so far I have been quoted between £175 and £220 excluding alterations for one dress and I need four! Urban_balleina - I love those hair combs! Can I ask where you got them from please? I have been looking for something to put in my maids hair, and they would be perfect! Urban_Ballerina I LOVE your BM dresses, they're absolutely stunning! OOOh UB are your dresses from Etsy? I was looking on there yesterday for a dress to wear to a wedding in July and saw those - they're gorgeous! What's the quality/fit like? Have you got5 petticoats to go underneath them? Hi everyone and thanks for the nice comments! Yes, the bridesmaids are available on etsy through the seller digforvictory. I had them made to measure for an extra £10 and am really pleased with them (apart from the fact that one is going to have to be replaced with an empire line version - I found out the week they arrived that one bridesmaid will be six months pregnant!). I think they look classy on and am planning to keep the pregnant BM's dress for myself to wear to other events! I did also buy some net underskirts on ebay, but they are a bit too bulky as they are and make the hips look huge. I'm going to try taking a layer off to see if that looks any better. Brideybear - The hair combs are from Glitzy Secrets. I think there's a discount code knocking around on one of the threads at the moment as well! Thanks for the advice girls! The more I think about it, the more I love the green!!! As you said, the accessories can tone down all the green! Looking forward to my BM dress shopping! UB - the dresses are lovely! I'll have to have a look on Etsy!